One of Scotland’s most remote schools welcomed its first children in three years yesterday. Canna Primary was mothballed by Highland Council after the last pupil left in 2011, but now three children will be taught at the school, which will employ one teacher. The youngsters – all from the Guthrie family – were previously taught by videolink, with lessons beamed from nearby Rum, 16 miles away. Under the trial scheme, their mother, Denise, was paid to supervise them. However, the children’s father, Gordon, found the makeshift classroom was getting in his way while he tried to work from home and now a teacher is being sent from the mainland. Local councillor Allan Henderson said the family were happy with the new arrangement. He said: “I think Mrs Guthrie will be employed as a classroom assistant. It’s good news. “Mr Guthrie, who has a computer-related business, found it difficult to work from home with the kids around him. “This is a more realistic situation and more normal – with the children going to school like any others. The Guthries are delighted about the new set-up and opening the school makes it more attractive to other families to come. 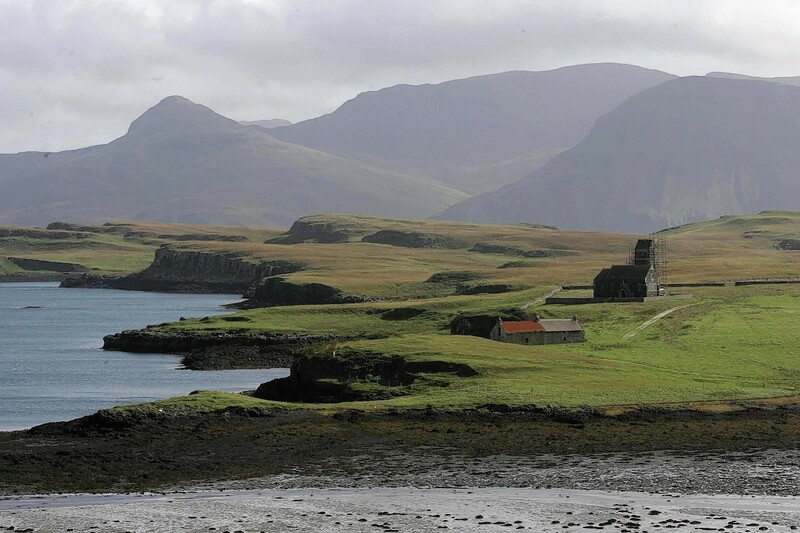 When the Guthries arrived on Canna, which is owned by the National Trust for Scotland, they increased its population from 13 to 19 and brought the island’s only schoolchildren. The experiment was hailed as a potential model for education in remote areas.